Are you in the mood for some bargain fantasy? Well, as I have mentioned before, Dragon's Curse is now 99 cents. Book two in the same series, Dragon's Debt, is on a countdown deal until February 4th, also for 99 cents. And starting today (2/2) and going until February 9th, the third book, Dragon's Rival, will be 99 cents as well! That means you can grab three books right now for under three dollars! I love this series. I know, I wrote it, but I put EVERYTHING I love about fairy tales into it, the romance, the fantasy, the adventure, the whimsy. I am definitely going to visit these characters again someday. 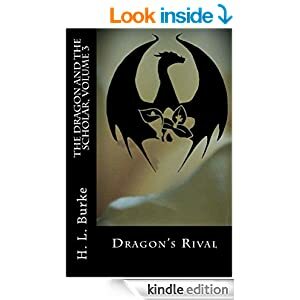 If you love dragons and twooo luv (meant to sound like the priest from the Princess Bride), check out the Dragon and the Scholar Saga today!